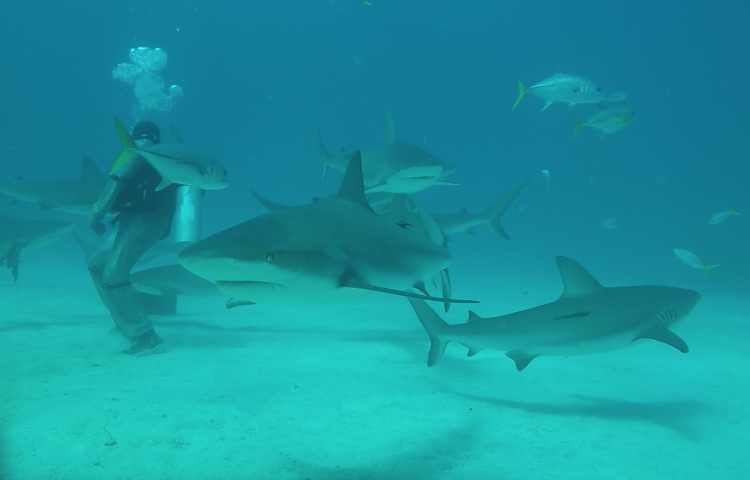 Swimming with sharks in Bahamas - Ma Che Davvero? 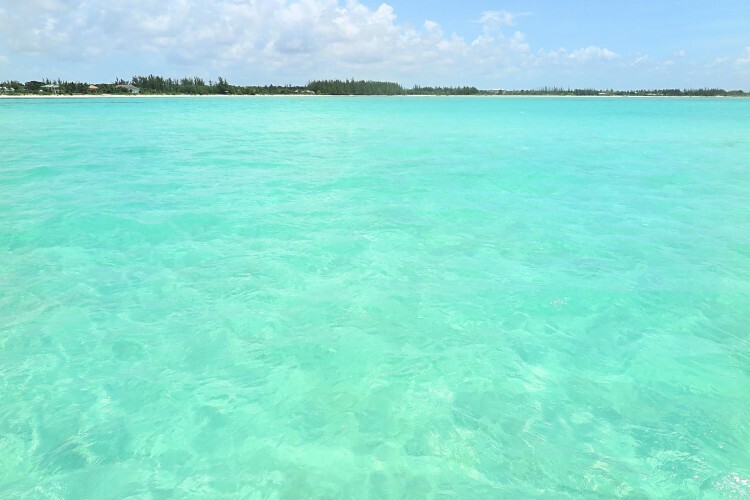 The Bahamas islands are one of the most shark-infested waters of all the globe. 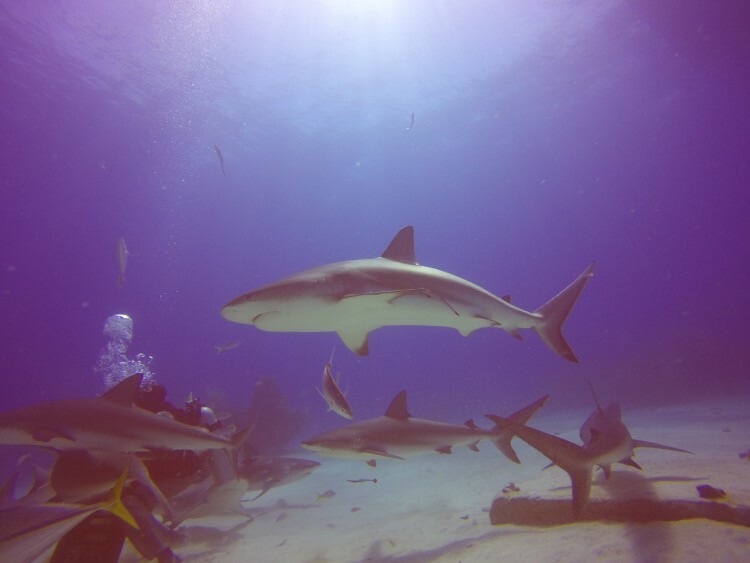 Tiger sharks, hammer sharks, nurse sharks, caribbean reef sharks are the most common species you can find here just by dipping into the crystal-clear water. 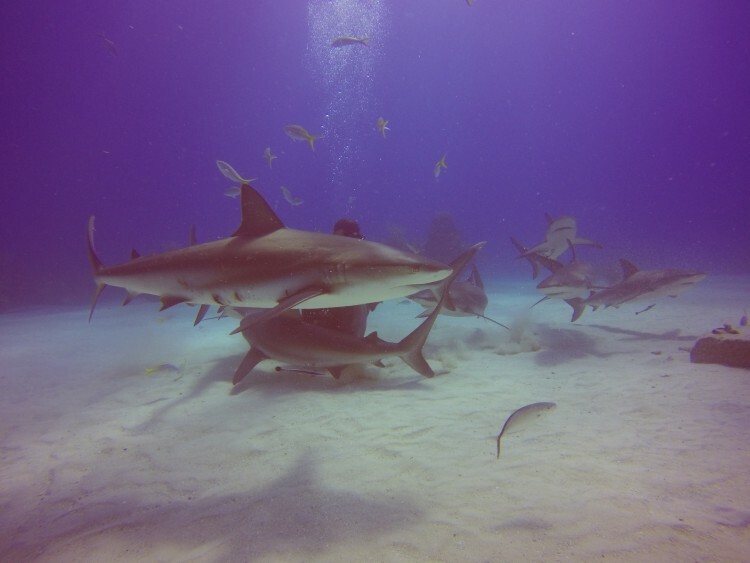 IT IS COMMON to find sharks in the open water. So common that in some beaches you can spot big ‘no swimming’ or ‘swim at your own risk’ signs. Truth is: sharks are not so interested in humans. If they attack, they do it because they confuse us with food. Their food: fish. That most commonly happens during spare fishing, as diving holding a bleeding fish is NOT the best idea, and during surfing/surface experiences as seen from the bottom we can be mistaken with fish/seals. jumping into the water while 8 sharks are swimming below you it’s just not the most instinctive thing to do. 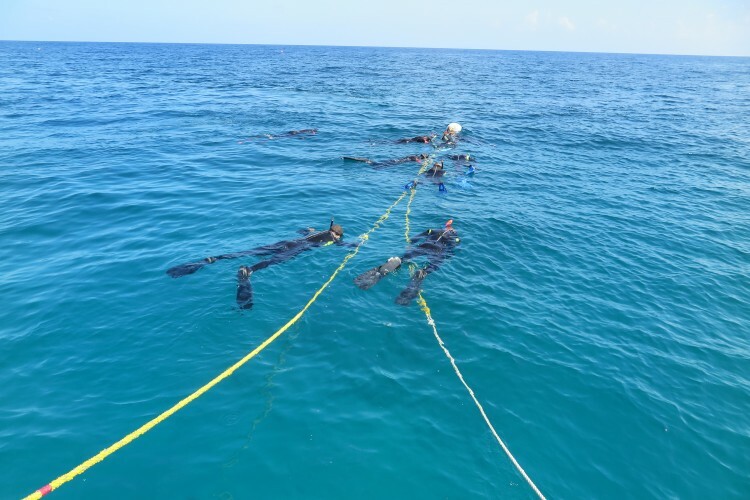 Luckily the Viva Wyndham Fortuna Beach diving team (the diving name is Oasis Reef Diving Center) has been amazing in explaining everything and making us feel safe every step of the journey. 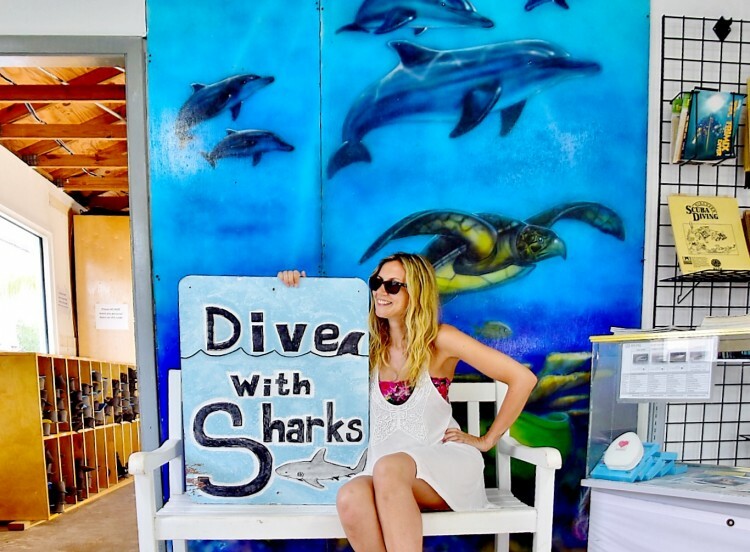 They do care both about human and shark safety, and I really did appreciate that. Soon we reached the spot, Pretenders Wreck. 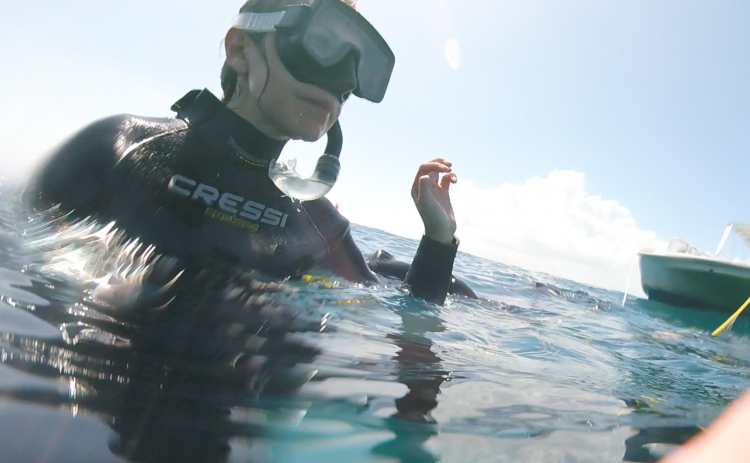 We got ready and got dressed to dive and snorkel. Everything must be covered when swimming with sharks, as clear colors do attract them. Jaron was our shark expert. 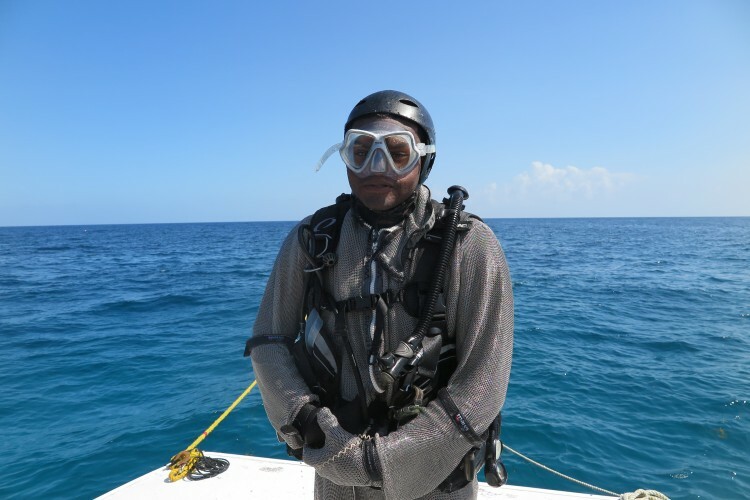 Dressed in a metal shark suit that made him look like a medieval knight, his job was to dive after us with a mixture of fish that would attract sharks. Yes: believe it or not, you have to give sharks A GOOD REASON to swim around you, or they just don’t really give a single sh bubble. 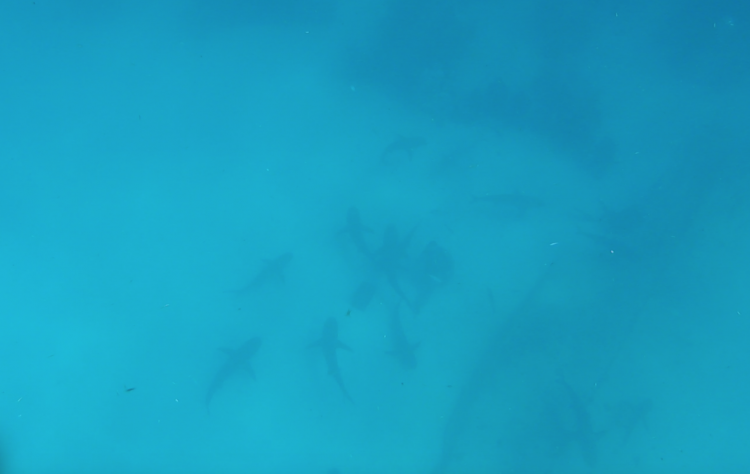 And there they were: almost 15 sharks swimming around us. At first, my fins were shaking but then I just relaxed and enjoyed the show. They move in such a beautiful, calm way that they’re almost hypnotic. At this point Jaron did what’s called TONIC IMMOBILITY. A kind of magic… He massaged the nose of the sharks and they froze, giving him chance to lift them horizontally AND vertically on his hand. You can watch this in the video below. 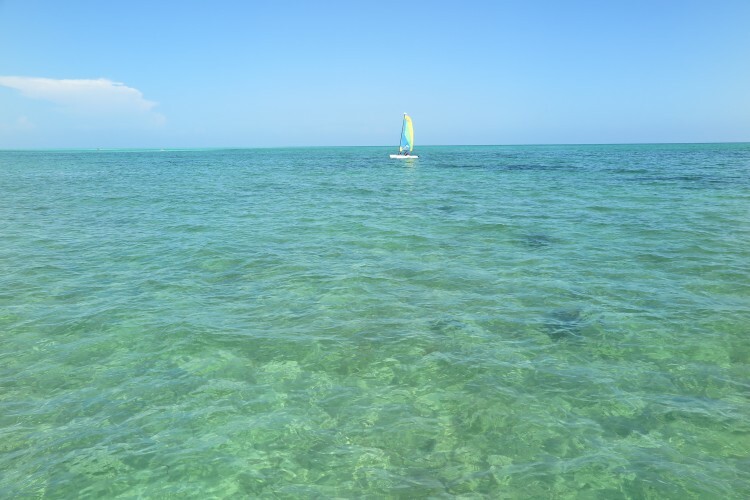 We stayed in water around 40 minutes before coming back on the boat. 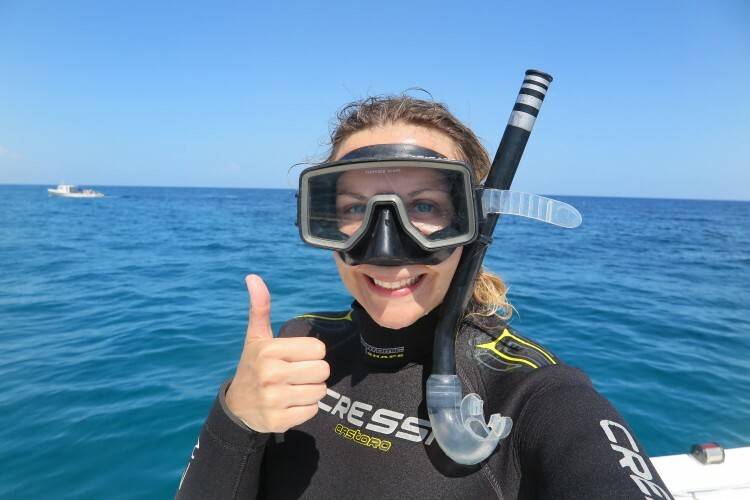 If you visit Bahamas diving with sharks is an experience you MUST DO!